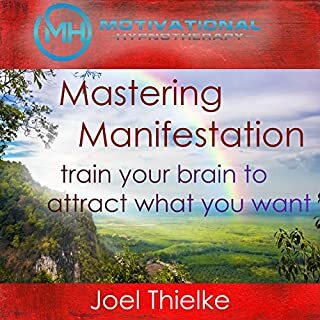 Use the Law of Attraction to change your attitude and bring good luck, fortune, and money into your life with this guided meditation and relaxation program from certified hypnotherapist, Joel Thielke. The Sleep Learning System is specially designed to work with your subconscious mind during your sleep cycle. 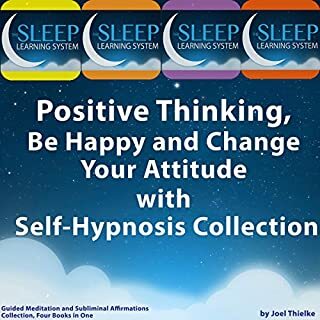 The guided meditation and soothing background music will deeply relax your body and mind for the perfect night's sleep, while allowing you to access the deepest parts of your mind for faster and longer learning and positive change. You'll feel well rested and energized when you wake up, and with every time you listen, you will feel more positive, confident, and you will find that luck becomes yours more and more. 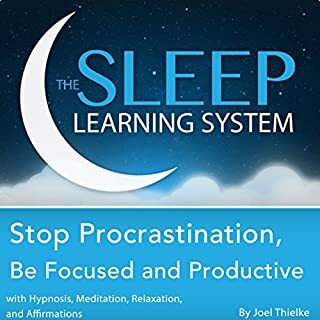 Joel Thielke's guided mediation system gives you positive suggestions that will help you quiet your mind and melt away stress, leaving your body deeply relaxed for a great night's sleep. While you're sleeping, the program will help you develop positive thinking so that you can use the Law of Attraction to its greatest potential. Attract good luck and use the Law of Attraction with The Sleep Learning System! This book puts me to sleep like a baby. Life and all my needs have been coming at rapid speed since I been introduced to this book. Thanks! i have real trouble sleeping and this is the only thing that helps. it lasts for hours and is so positive and sleep inducing. love it. Was asleep within 10 mins of start. Was asleep within 10 mins of start. Woke next morning full,of energy and ready for the day. I have put 5 stars for Overall, Performance and Story. If you could sum up Law of Attraction: Attract Good Luck and Fortune with Hypnosis, Meditation, and Affirmations in three words, what would they be? I've realised for me audible is often about a narrators voice, I love this narrators voice, it relaxes me, I take on boards messaging and it's really helped me. Which character – as performed by Joel Thielke – was your favourite? Woken by chapter 6 every time! I really enjoy the narrators voice and the messages. it sooths me into a wonderful sleep. Why on earth though, in such a book, you would have a loud, brisk voice, at the end of the session), suddenly announcing what you have been listening to, is beyond me, and annoys me intensly. Tonight, I shall be setting a sleep timer to cut him off well before I get there. So bad I can't even! The narrator was fine, but oh good grief, the content! I didn't know whether to laugh incredulously or whether to throw my phone away in disgust at my own credulity in having bought this droch. Honestly, I was gobsmacked. I assumed it would be like other meditative material on Audible, most of which is of a very high quality. Instead I got a well narrated ode to shallow materialism. I was heading to my meditative calm space (as I said, the narrator was good) when all of a sudden I am being told to imagine a luxurious room full of plush velvet furniture, tables with bowls full of jewels and the whole room dripping gold. By the time the narrator was describing crystal chandeliers and how all this wealth could be mine I was completely unzenned, laughing like a lunatic and shaking my head 'til I was dizzy. This is not the kind of wealth or positivity that I want to attract into my life, and is so far from my normal meditation practice that I am still in a state of cognitive dissonance just thinking about it. If I wanted to live in Trump tower I might like it. Other than that I can't think who it would appeal to. I use this to help me sleep and encourage me to be more confident and positive in my working life. I dont know if it works or if the thought of it works, but I do feel better for using It! 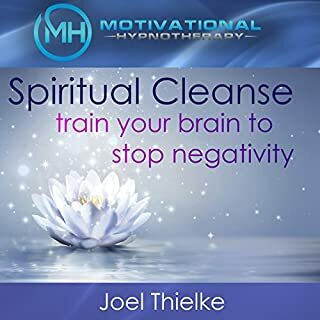 Would you try another book written by Joel Thielke or narrated by Joel Thielke? This is guided relaxation book with a lot of music not much of a spoken content. Some reviewers say it does good, I.e. they sleep better etc. Unfortunately, I do not get good sleep after listening to the book, bad/weird dreams only. Moreover the American-English narrator's voice doesn't put my mind on ease. This book is certainly not for everyone.